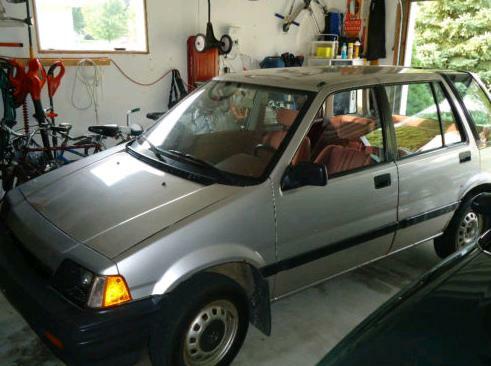 According to the seller, this car has had one driver and one mechanic throughout its life. It comes with a hardtop and convertible top cover. If I were in the market for another B, I'd be all over this car. Located in Southampton, NY, click here to see the Craigslist ad. A big thanks to Dan for sending me this link. 1985 Honda Civic Wagovan - These were produced about 20 years too soon. There wasn't much of a demand for a small AWD station wagon in the 1980s. Gas was cheap and SUVs were becoming all the rage. Compared to their other models, Honda didn't sell many of these. This car has a 6 speed transmission. It's a 5 speed with a very low granny gear that can only be engaged in 4WD. This Wagovan is a 2 owner car that has been in storage for the past 5 years. It will most likely need a bit of work to make it a reliable daily driver. Located in Byron Center, MI, click here to see the eBay listing. 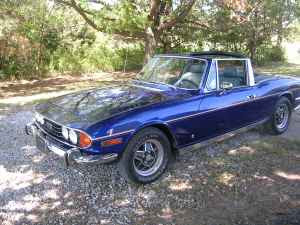 1973 Triumph Stag - The Stag is a car that is a better used car than it was a new car. When new, it had a myriad of problems. Over the years, Stag owners and the aftermarket have found fixes and cures for all the problems. These cars are now as reliable as any car that is almost 40 years old can be. This Stag looks to be in very nice shape. It has a desirable 5 speed manual transmission with overdrive. 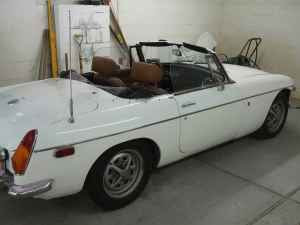 Located in Topeka, KS, click here to see the Craigslist ad. A big thanks to Vince for sending me the link to this car! Looks like an original engine. Run away!